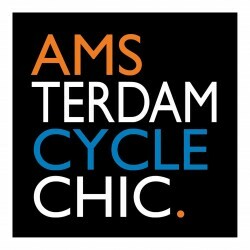 Amsterdam Cycle Chic is a blog dedicated to sharing the joy of Dutch cycling culture to the rest of the world. Our blog aims to capture the variety of ways everyday cycling contributes to Amsterdam’s vibrant urban environment and social atmosphere. The team of bloggers is made up of mostly expats who enjoy photography and street life. Most of all, we enjoy documenting moments of life that most Dutch consider mundane – from carrying loads of groceries in bike baskets to kids in cargo bikes, lovers holding hands while peddling, or the everyday suited business man getting to work. We hope to inspire people around the world to not only get on a bike but to also (just maybe) come to Amsterdam to experience a different kind of life: a life by bicycle.